Do you have menstrual cramps? Essential oils can be very helpful! They help support the systems of the body when used in conjunction with lifestyle changes and a natural fertility health program. They may not be all that you need, but are one useful tool! This video was shared live. Download the Instagram App to watch our live broadcasts! Women with dysmenorrhea or “difficult menstruation” have been shown to produce seven times more prostaglandin F2 alpha than women who do not. When the prostaglandin F2 alpha is released into the bloodstream in high levels, it causes the uterus to spasm. Women know uterus spams as menstrual or period cramps. You first dilute them. This means you will dilute the essential oil with a base oil such as almond, grapeseed, or jojoba oil. Lotion can work too. To help relieve menstrual cramps and reduce pain, consider using a 5-20% dilution on the lower abdomen. The higher the percentage dilution the stronger the formula will be. This is not something you would use every day for a month. It would only be used when experiencing cramps. Important notes: You do not want to apply most essential oils directly onto the skin, especially the analgesic oils. They can burn the skin, but are very effective and strong. 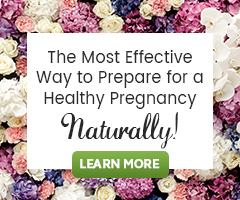 These are not essential oils to be used while actively trying to conceive, during the two-week wait or while in first trimester. These are to be used during your period while you are having cramps. When using 1-ounce carrier, you would add 100 drops of essential oil if going for a 20% dilution. If you wanted a 5% dilution, you would add about 25 drops total of essential oils to 1 oz. of carrier oil. Add your essential oil blend to a Castor Oil Pack. Our guide How to Enhance the Benefits of Castor Oil with Essential Oils will teach you how. Add your blend into a hot bath. Note: You do not need to use these internally for menstrual cramp relief. An example blend that you could make would be something like: chamomile, peppermint, lavender, clary sage or fennel, ginger or sweet marjoram. It does not matter what you use from the list, pick whatever you have on hand, making sure that the total number of drops is between the 5-20% dilution. You should enjoy the smell too! I hope you find this helpful and that you have something to reach for on your next cycle when you have cramps. Let me know how it works for you. This article appears to focus on topical application of essential oils for menstrual cramps. Can you recommend any for use internally or aromatically? Topical application is very effective, as is to use the essential oils “aromatically”. It isn’t suggested to use them internally (we don’t support this).